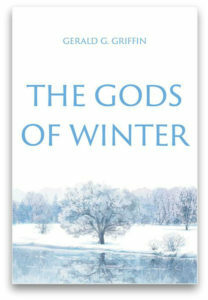 The Gods of Winter is literary fiction based on fact and is told in the first person by Bob Daniels, the protagonist. The story begins and ends with the voice of God, who weighs in on Bob’s attempts at running a ministry in the former and on his relationship status with God in the latter. While recounting his life, the narrator’s ultimate focus is the romantic relationship between himself and the love of his life, Gloria. The arrival at their first meeting takes more time than I expected, but the journey to reach it was nevertheless intriguing. The narrator sets the stage for Bob’s life-altering date with Gloria and fate takes it from there. The writing style contains an undercurrent of humour and an appreciated tongue-in-cheek cleverness. We meet Bob as an irreverent lad of ten and leave him when he’s a man who has suffered but who maintained that irreverence to the end. In between, he lives, loves, wins, loses, releases his hold on sanity, regains it, and finds hope in a formerly bleak future. At times, the narrative bogs down in polysyllabic verbiage and lots of modifiers. If your preference in reading leans towards Elmore Leonard or Hemingway, you will need to adjust to Griffin’s more flamboyant style. Even so, the book is a decent read made compelling because it’s based on fact. The author suffered the loss of the love of his life and this book is the result of his desire to work through his pain and to keep his beloved’s memory alive. The characters, particularly Bob and Gloria, are fully formed, flawed, and interesting. Occasionally, they irritate with displays of arrogance and entitlement that are then balanced out with love and compassion. Particularly frustrating is Gloria’s lack of compliance when it comes to her health and her puzzlement when the inevitable happens. At times poignant and emotionally moving, the deft storytelling keeps the reader turning pages. The strange twists in all this are Bob and his game of hide-and-seek with God — Bob seeks; God hides (with two significant exceptions) — and the strange tale Bob’s father tells him of the gods of winter and their impact on Bob’s future. One wonders what would have happened to Bob had his father kept the story of the gods to himself. Did the power of suggestion or revenge from beyond the grave shape Bob’s destiny? These things give the story a surreal and paranormal feel, and, considering what happens at the end, an incentive to forgive the literal Deus ex Machina climax. The stuff of legend. Fiction based on fact. A story to behold. Its humour, laughter, strife, sadness, and tragedy are the stuff of legend. Gerald G. Griffin was born in Flint, Michigan, and graduated from high school there as class Valedictorian. 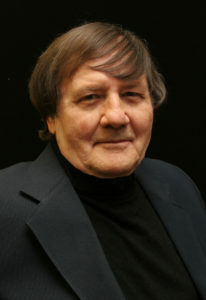 After obtaining his BBA at a local college, he attended graduate school at Michigan State University, receiving his MA and PhD in psychology, by this time married, with two sons. Following graduation, he accepted a position with a psychologist in private practice in Atlanta, Georgia. One year later Gerald set up his own private practice in Atlanta as a consulting psychologist, and his practice eventually grew to the point of necessitating two fully staffed offices at different sites, with a smaller one in his home. Once his sons were grown and out on their own, Gerald and his wife divorced. Caught up in his bachelor wanderings, Gerald reduced his practice to part-time, in one office, while still managing to write, mostly ghost-writing, though he wrote a fourth novel, never published. Then he met Jane Valentine, a well-bred, well-educated lady from London, England with a zest for life and a demeanour to enjoy it. Gerald and Jane became engaged and moved to the bedroom community of Gainesville, Georgia. There, among the small city’s peaceful settings around Lake Lanier, Gerald dedicated himself full-time to writing, turning out the published novel, OF GOOD AND EVIL. To read reviews of other books, return to the Articles page.